On Monday 24th August, most shares trading on China’s Shanghai Stock Exchange fell by their daily maximum fall of 10%. Many commentators see it as the end of the phenomenal period of growth that has fuelled China’s economy since the late ‘70s. 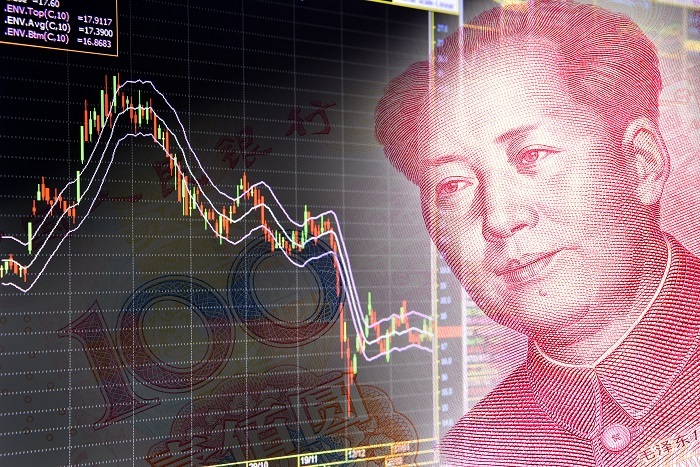 The recent sell-off has been triggered by the mini-devaluation of the Chinese currency earlier this month. The country’s Communist Party leaders devalued the yuan by 2% in order to boost exports: exports which had recently been flagging. Simultaneously, investors had to contend with falling commodity prices, with oil at a particularly stark low. Lower commodity prices are not necessarily a signal of slower Chinese growth, but as much a function of excess supply. This is especially true for oil as the US increases shale production and Iranian oil comes back into the market. Both are good news for the consumer and companies who will see lower input prices as a result. A threat of rising US interest rates has also troubled investors, though this rise may be delayed as low commodity prices keep inflation at bay. Despite the situation in China, global growth has not slowed. The US economy is still expanding: so too is UK’s. These recent market developments have left equities offering value now that they sit significantly below their spring peaks. Dividend yields remain well above that of Government bonds, inflation is set to stay low, as will bond yields. Whilst stock markets are likely to remain volatile for a while, we do not think this is the beginning of a substantial or long lasting sell-off but should represent a buying opportunity for the long term investor. Please contact your adviser if you have any concerns.